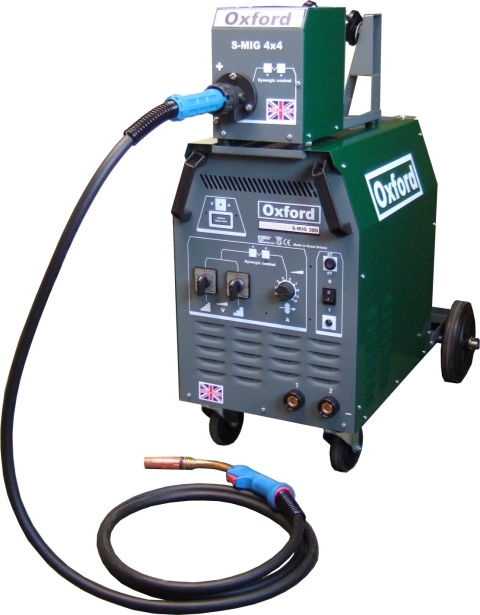 With a history dating back over 60 years, British made Oxford welding machines are internationally renowned as one of the best in the industry. 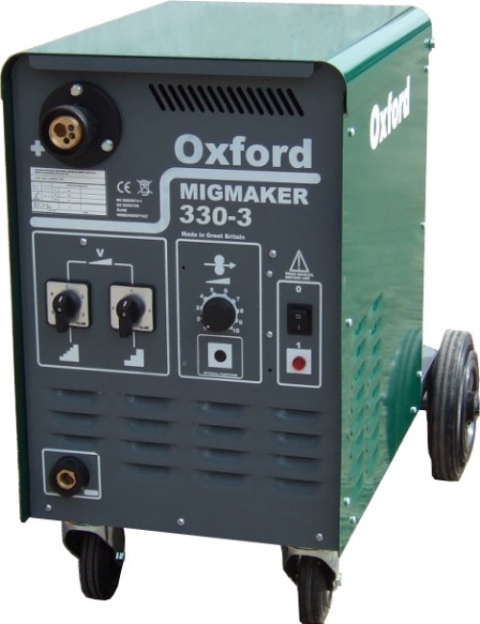 Oxford machines are used & trusted in over 100 countries around the world. They are known for simple rugged build, high reliability with a very long life span & excellent welding performance. 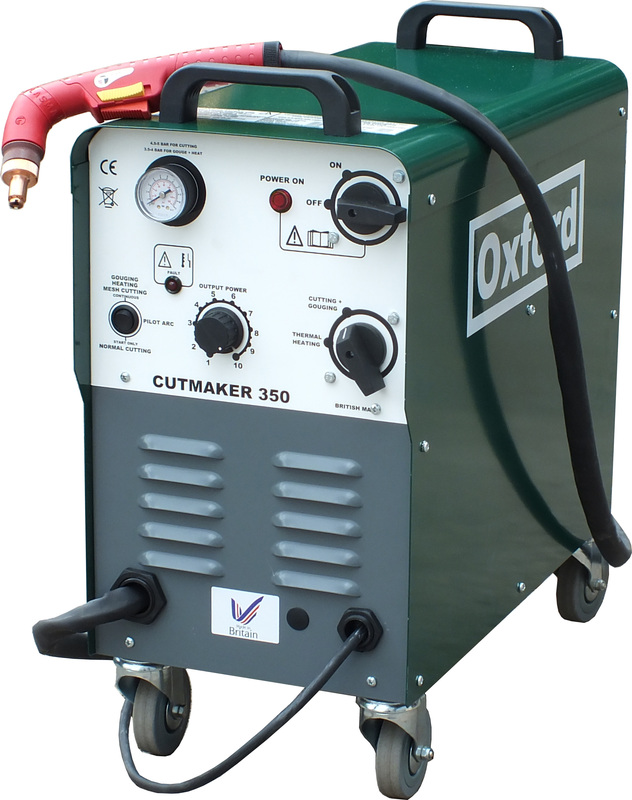 In the last few years we have put in considerable resources to develop our product range to incorporate some of the very latest technology & materials without losing the no nonsense old fashioned engineering approach that Oxford products are renowned for. Super smooth stable arc from 5 amps upwards. Digital meter shows preset A then precise A when welding for EN1090 etc. Machine size (steelwork size) 250mm x 420mm x 500mm This machine can be used on lower input supplies with reduced cutting capacity, 16A to 60% cut power, 13A plug to around 50% cut power. Superior cut quality with really clean stright edges on all materials from the thinnest sheet right up to max capacity. Thermal arc heating function allows the operator to apply direct thermal arc heating similar to using gas bottles but using only air & electric! Energy efficient design 90%+ efficiency means you get more cutting power for the lowest input power. Class leading air consumption, as much as 50% lower than competition means only a small compressor needed & the lowest possible fumes. Bullet proof design means this machine will be unaffected by varying input power or unstable generator. 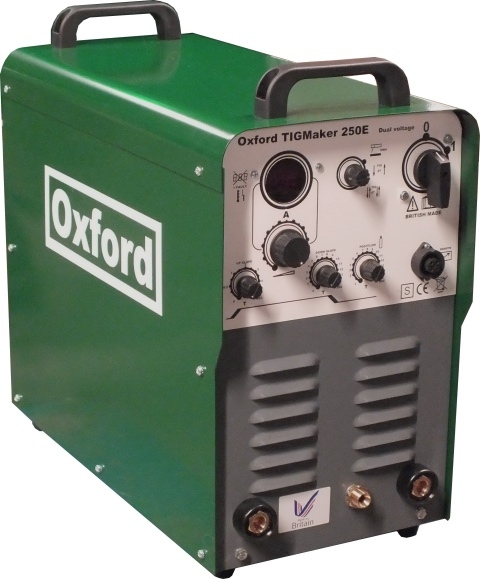 20 foot torch for cutting, & thermal heating/gouging, uses long life low cost consumables. Now rated to IP23S protection so can be used outside in the rain or in your workshop. Built in air filter to help trap moisture & particles with regulator & pressure gauge to allow easy setting of air. NON HF design means these are safe for use on vehicles & around IT based equipment. Built to last in Great Britain! to BS EN60974-1, BS EN60974-10, RoHS, weee & CE marked!